Community - We want a neighborhood that is an extension of our front porch, where going out is “going in” and you can’t make it a block without running into someone you know. 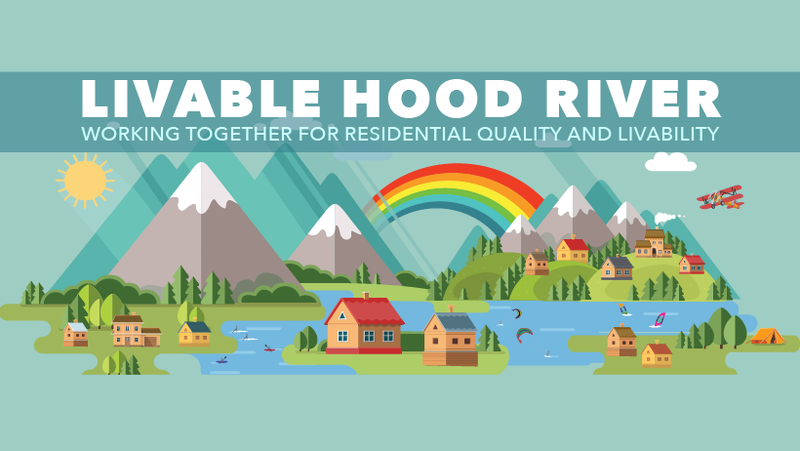 Health - Hood River is our free gym, whereby active mobility like walking and biking are the easiest and most convenient way to get places, resulting in healthier residents. Local Business - We know the names of our business owners and their product or service sustains basic lifestyle requirements of food, home and transportation. Untethered Kids - Our children can find their own play freely and walk or bike to school independently. All of Hood River, all of the time, is naturally alive with children, young and old, filling our streets, which prioritize rolling, strolling or playing.